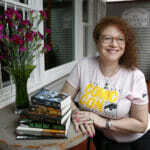 Editor Note: Gini has another Old Classic from the overflowing vault of her (new) hometown station, Turner Classic Movies. Let’s see whether Gini believes this movie stands the test of time or has it marched on, shall we? Tackling what Turner Classic Movies says is a classic screwball comedy with 1937’s Topper. I saw this movie on TV when I was younger and I remembered it as being hilarious. So I couldn’t wait to watch it again and introduce it to the hubs. 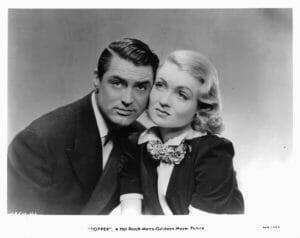 Topper is about a rich, carefree couple, George and Marion Kerby (Cary Grant and Constance Bennett) who die in a car crash and become ghosts. Their sort of friend and banker Cosmo Topper (Roland Young) crashes in the same place and, because he isn’t killed, George and Marion decide to haunt him, since they’ve determined that they need to do a good deed in order to get into Heaven. Cosmo’s wife (Billie Burke) controls every aspect of his life in a well-meaning way, but Topper desperately wants to break free and do something, anything, fun. The Kerby’s interference first distresses Topper, but then grants him the freedom he wants, making things better all the way around for everyone. Having spent a lot of time on TCM for the past several months, I’ve determined that there are two kinds of screwball comedies – the kind where the actors speak clearly and the kind where the actors speak either so fast or so low that you can’t hear the words. Topper, as it turns out, is the second kind. And, shockingly, I prefer the ones where I can hear the dialog. Topper wasn’t the comedic gem I remembered from my youth. Realistically, I probably saw it in my very early teens, if not before, and that was back when dinosaurs roamed the Earth and we only had 13 channels and VCRs, let alone DVD players, were just a gleam in their creators’ eyes. It was hilarious then. Now, it’s literally impossible to hear the dialog. Topper is constantly mumbling – I don’t think I could make out a complete sentence at any time – and George and Marion seem to be in competition for who can talk the fastest. It’s a lot of work for not all that many laughs. In fact, the hubs fell asleep and refuses to try again. I turned it off when he started snoring and tried again a few nights later. I enjoyed it, but more as a sweet example of a slight premise, not as a hilarious comedy to watch over and over again, let alone to watch the sequels (which I saw when I was young as well and remember fondly). 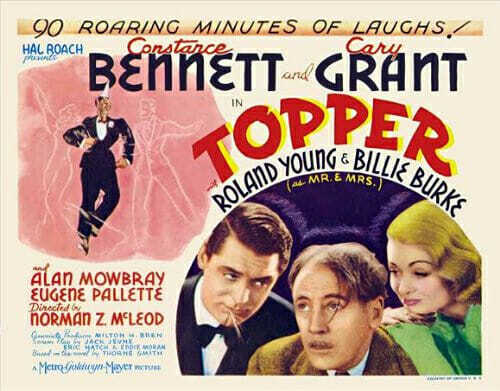 Topper hits all the screwball comedy notes – madcap, wealthy couple who are madly in love, drink a lot, and drive recklessly, check; befuddled person who needs the madcap couple to make him/her less uptight, check; lots of physical humor, check; possibilities of insanity suspected by more than one person, check. But the sum of the parts aren’t all that comedic now. They’re just…okay. Also, Grant is essentially only seen in brief segments. This is Bennett’s show, really, and Young’s. So, if you’re hoping to still enjoy Grant’s impeccable timing and good looks, he’s in, max, about a third of the movie. There was a whole section where I thought George had already ascended because the character was so absent. My memories of Topper are still fond, but it’s unlikely that I’ll ever take the time to watch it again. 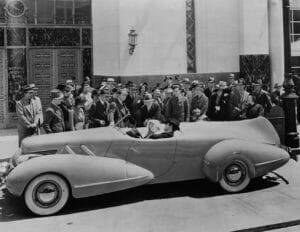 There are better, and funnier, screwball comedies out there, and my good deed is to tell you about them.